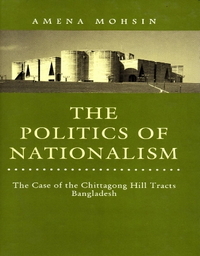 Amena Mohsin teaches in the .Department of International Relations at the University of Dhaka. She graduated from the same University and later on received her M.A. and Ph.D. degrees from the University of Hawaii, USA, and Cambridge University, UK, respectively. She specialises on nationalism, ethnicity and minority issues. She has published numerous articles in various journals.